This release features Customizer improvements, including the ability to save customization changes as drafts, schedule them to go live at a certain time, and letting other people preview the changes easier. To improve code editing in the admin we've introduced syntax highlighting and error checking to make things more robust and harder to break. 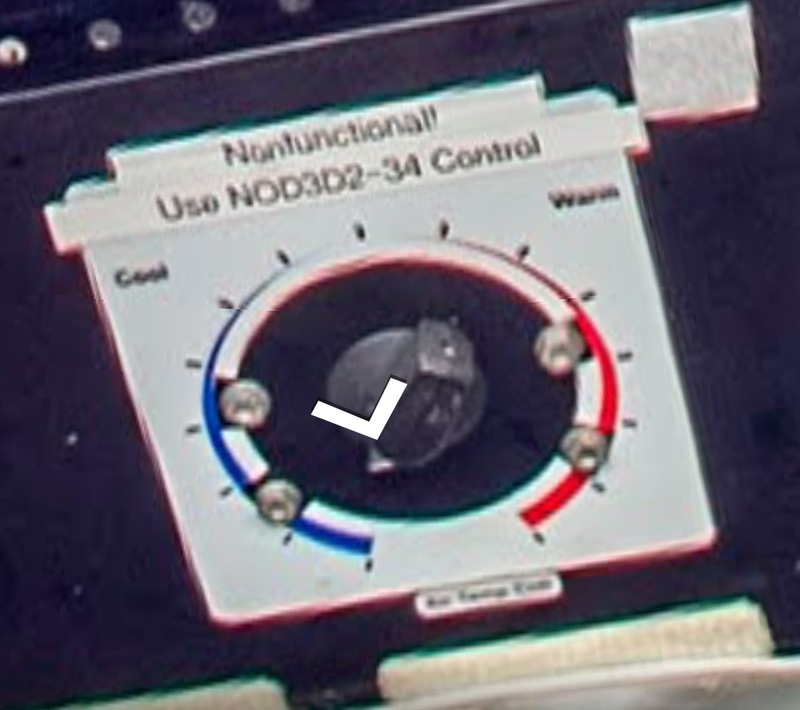 Ein lustiges Detail aus der google Streetview der ISS International Space Station. Eine neue Version des populären CMS ist erschienen, und kann über den Adminbereich oder manuell per Download installiert werden. Version 4.8 of WordPress, named “Evans” in honor of jazz pianist and composer William John “Bill” Evans, is available for download or update in your WordPress dashboard. New features in 4.8 add more ways for you to express yourself and represent your brand. In a current project, the designer asked if we could add a little gimmick to the horizontal navigation, which consists of just a few one-level items. Of course the idea is visual-, desktop-, and mouse-input-device-centric, and a discussion about other devices and the resulting state of the navigation ensued, and we agreed to treat this as a nice to have if everything else is cared for. Ja tschakka! 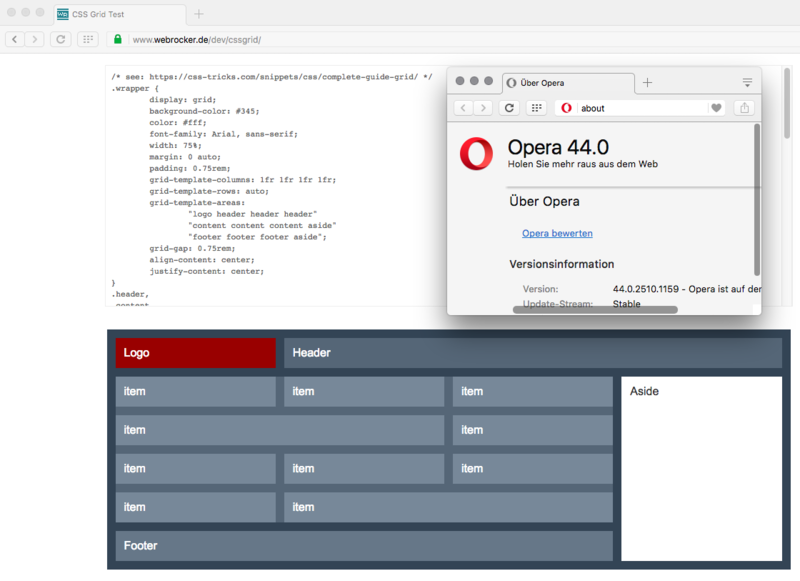 Anfang des Monats Firefox, sehr kurz darauf Chrome, dann Opera, jetzt Safari -- es tut sich mächtig was in Sachen CSS-Grid. this may very well not work for your setting. Plus, since I'll mess with the SQLite database, this could ruin your day if you don't backup the file first. 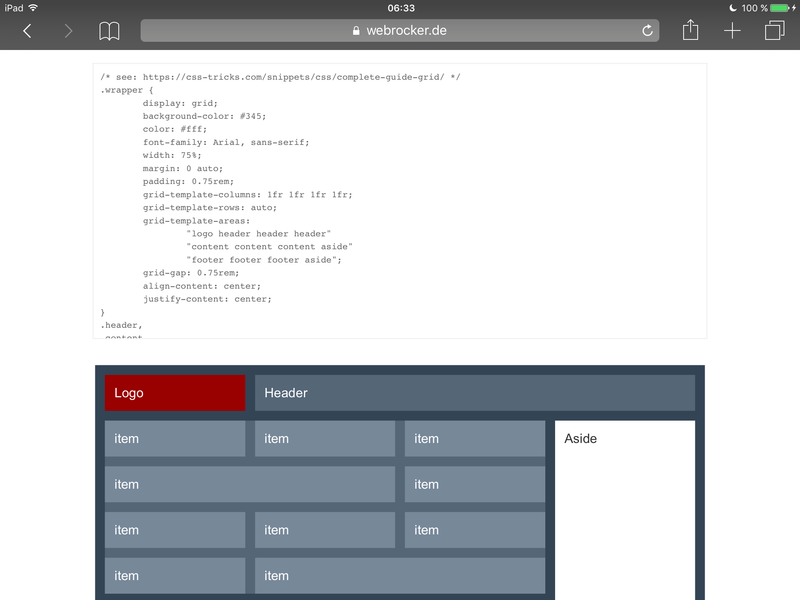 Das wohl spannendste derneueheissescheiss Feature für moderne Weblayouts ist gestern einen Schritt näher an die normalen Webnutzer rangerückt: Firefox unterstützt in der nun aktuellen Version 52.0 CSS-Grids! Und Chrome wird das auch noch im März hinter dem "Experimental" Flag hervorholen.